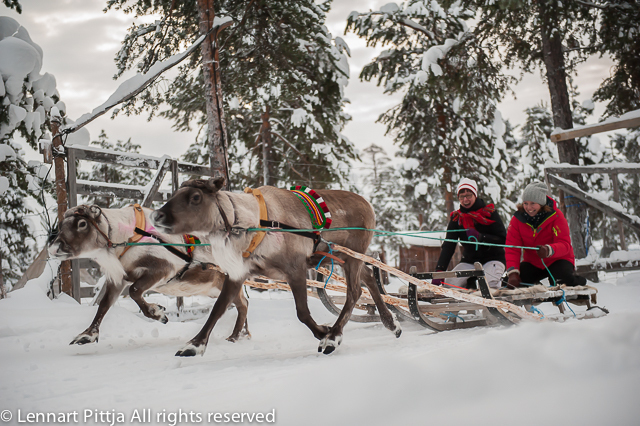 Come and experience traditional Sámi lifestyle and the art of reindeer sledding with our dedicated guides in Jukkasjärvi. 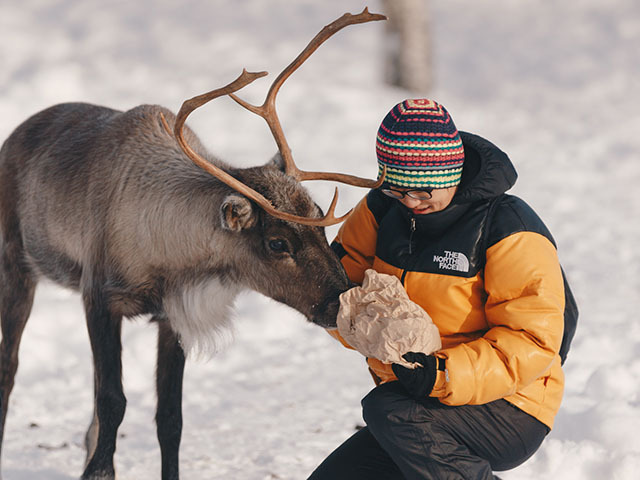 Enjoy the close and intensive encounter with our reindeer. 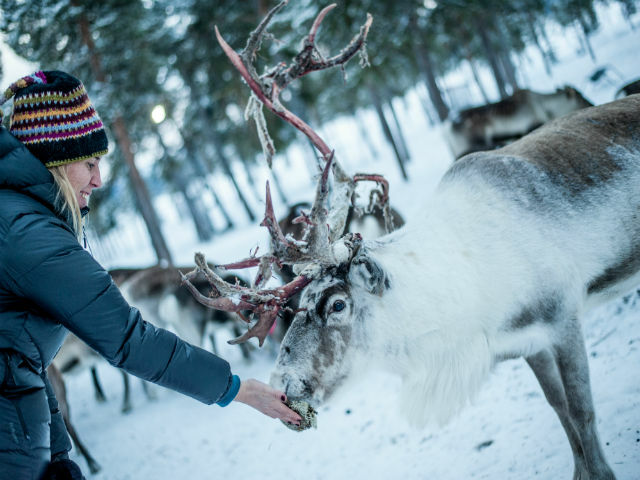 Help train, feed and race reindeer while learning about the importance these beautiful animals have to the Sámi way of life. The tour is rounded up by savouring the Sámi signature dish suovas whilst sitting around the fireplace in a lávvu-tent. Learning first-hand about Sámi culture and reindeer husbandry, climate change etc. PRICE 1: Adult: SEK 1980. Child (3-12 yrs): SEK 990. PRICE 2: Adult: SEK 2280. Child (3-12 yrs): SEK 1140.